Seeing fruit from ministry can be a real encouragement that puts some spark in our not always exciting everyday activities. I had one of those moments recently when a former student talked at our church about going to Tanzania with Wycliffe as a Bible translator. Roman presents his ministry at our congregation. Starting in our next newsletter (coming soon! 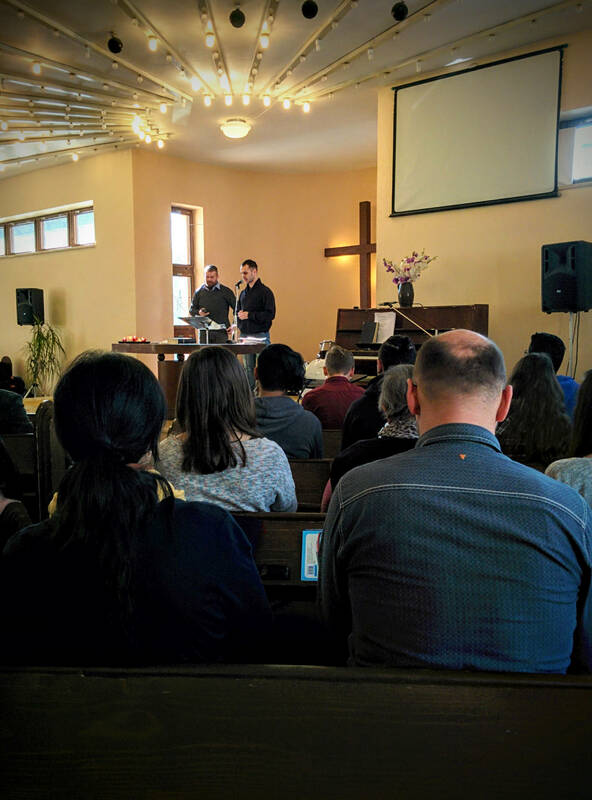 ), I’ll be including a section in which I highlight a person that our ministry here in Slovakia has touched. If you would like to receive our newsletter (6 per year), please subscribe through the link below. As I know Roman, there are two things that really stick out. He’s a bicyclist and a language nerd. Roman’s primary means of transportation is his bicycle, which he seems to ride whenever he gets the chance, including the 100km commute from his home town to the seminary and despite the fact that he got hit by a bus while riding in Tanzania. Roman comes from a town near Levice, Slovakia which is familiar to many of our supporters. 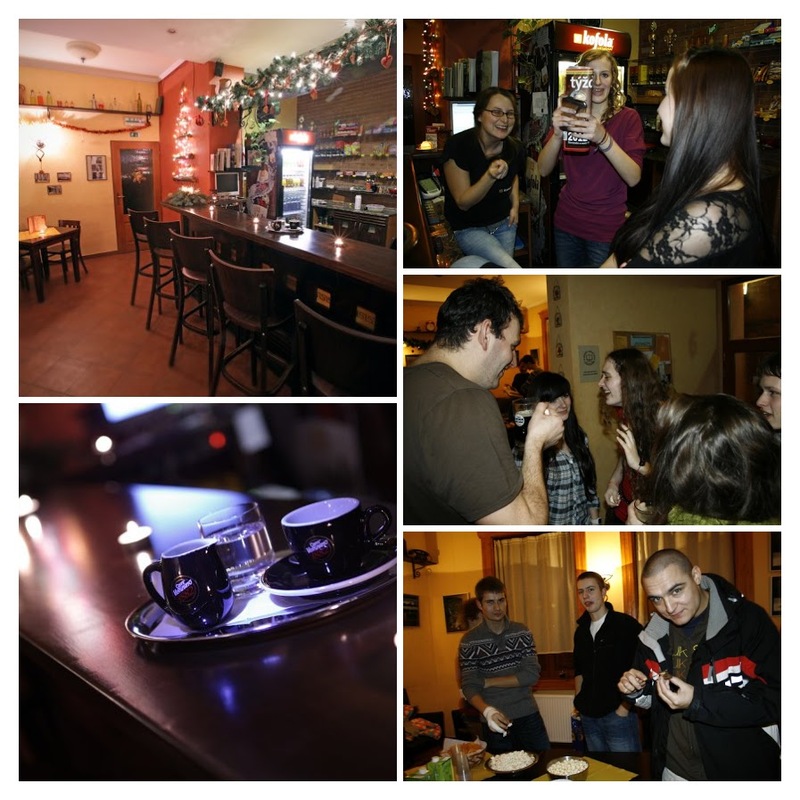 If you’re from First Evangelical Free Church in Rockford then you know First Free sent at least one team to Levice to reconstruct a building that has now become a café and activity center (Kontakt café) especially geared to youth in the city of almost 40,000. Well that’s the ministry that helped Roman get started in his faith. As I remember his story, he started out playing floorball with a group from the church, then started attending various meetings or activities put on by Kontakt. Shortly after becoming a believer, Roman began studying information technology at the university in Bratislava. But as he read the Bible more, he quickly became interested in theology and decided to supplement his bachelor’s and master’s in IT with a second master’s degree in theology. He did both programs at the same time! That’s when I met Roman. He was in my introductory classes for the background of the Old Testament and OT introduction. Already in those classes it was pretty easy to tell he was one of the brighter students in the class, even though his theology classes were secondary to his computer science studies. During his master’s studies his interest in the languages drove him to sign up for my Advanced Hebrew Reading Skills and Advanced Exegesis of Genesis classes. Roman seemed to shine in the languages. Not everyone understands the intricacies of grammar–or even wants to. Roman seemed to have both the gift and the interest. And that is the second characteristic that, for me, makes Roman, Roman. That’s why when I found out that Roman was heading for Tanzania to join a Wycliffe translation team as an IT specialist for one year, I thought there might be something more going on. And sure enough, it turns out he was hoping to get a taste of what a translation team does in order to see if that is a part of God’s plan for him. After a short time in Tanzania, he realized it was. In the past year Roman has completed some Wycliffe linguistic training in England to prepare for his first assignment to a translation team in Tanzania. Currently, he’s raising support and hoping to leave in just a couple of weeks. It’s great to know that our ministry at the seminary is having an impact that goes beyond the borders of the seminary walls and even to the ends of the earth!